What is a Golf Watch? Just like any sport, having the right equipment can mean the difference between finishing in first place and getting stuck behind near the back of the standings. Golf is no different. Aside from choosing the right brand of clubs and gloves, it’s almost more important to have the knowledge of what to use in which situation. Though golf is supposed to be a game played without rush, having the right timepiece is also imperative. When searching for the right golf watch, one big trick is to keep it simple. A sport-specific watch should be simple in the thinking that it should show you the things you want and easily, while not wasting your precious time you could otherwise be spent on the course. If you’re going to shell out for some more expensive brands, making sure a watch is waterproof is important because of summer thunderstorms — or if you have a bad habit of hitting into water hazards. 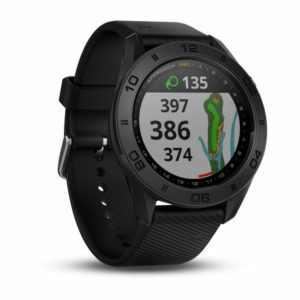 Companies like Garmin and TomTom make GPS-enabled touch screen watches that are loaded with course information, like how far away fairways are, the par and what hole number you’re golfing on. 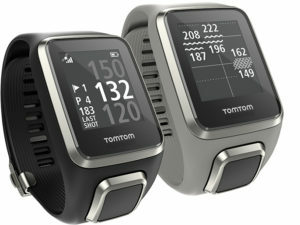 Garmin’s Approach S5 keeps stats like steps, is waterproof and is loaded with information from 38,000 in the world. 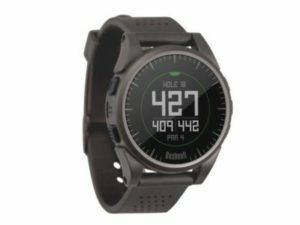 Callaway makes a watch, the Gypsy Sport Watch, has a hazard warning that shows you how far you are from the next bunker as well as the hole number, distance to the hole and other course information. Other golf-specific watches are slimmer, in the form of a FitBit, which won’t weigh you down, while others resemble a regular stopwatch. good post….particularly at the height of golf season. Every person using one should improve their game by 4-6 strokes. Mark. Though not a timekeeper, I would like to mention the famous (to my age group) Golfer’s Pal scorekeeper watch which were popular in the 1960’s and 70’s. You wore it on your wrist and pushed the button to keep track of your strokes. I still have mine in mint condition that brings back memories of long days at the golf course with friends in my teen years. Thanks for the interesting article.